Stick a fork in her, she's done folks! 185% funded for $12K. Many thanks to all of you! 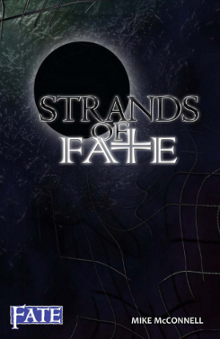 We are going to try our best to hit an August release in hopes of getting the book out in time for GenCon. We'll be keeping you up to date, and if it looks like we're going to hit GenCon, I'll let everyone know if they'll be able to pick up their print copies there. $8,000 - The Augmented PDF - We will develop an Augmented version of the PDF. Evolved backers will get both the regular PDF, and the Augmented PDF, at no additional cost. 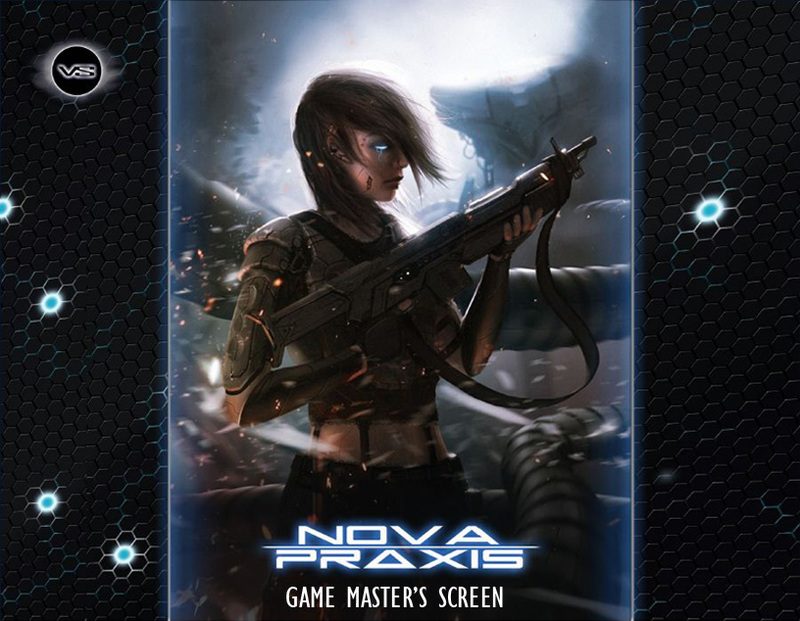 $8,500 - Game Master's Screen - We will develop a Nova Praxis: Savage Worlds Edition Game Master's Screen PDF. Evolved backers will get this PDF for free. 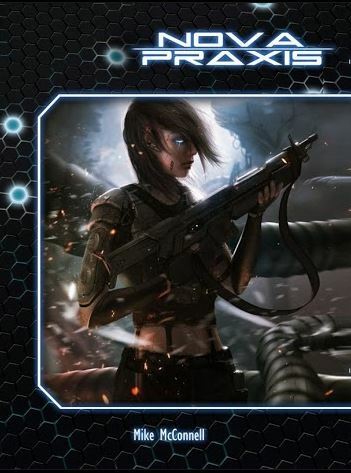 $9,500 - Ghosts in Darkness - We will develop and release the introductory scenario, Ghosts in Darkness for Nova Praxis: Savage Worlds Edition. Evolved backers will get this PDF for free when it is released. 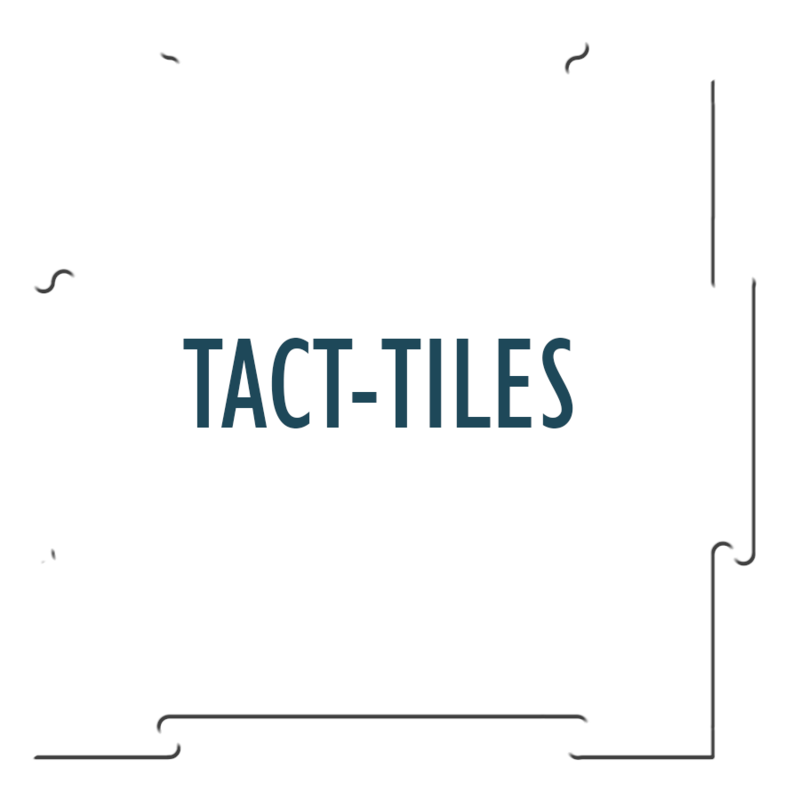 $10,000 - Work Hazards - We will begin developing Work Hazards, a book of alien creatures, biotechnological horrors, combat drones, terrorists, pirates and other NPCs to challenge your players with. Evolved backers will get this PDF for free when it is released. Work Hazards will be released featuring both Savage Worlds and Fate stats. 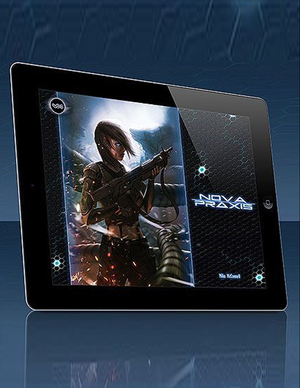 $11,000 - Nova Praxis Cards - We will develop a custom set of Nova Praxis playing cards for use in determining initiative. These cards will be available through DrivethruCards around the same time the book releases. Evolved backers will get a PDF of these cards for free. $12,000 - Fragmentation - Mike McConnell will begin writing Fragmentation, a Nova Praxis novel. 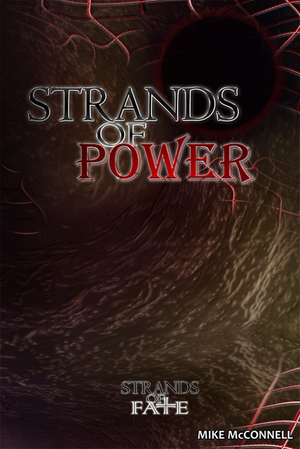 Evolved backers will get this ebook/PDF for free when it is released. The primary focus for the next two months will be getting the printed version of NP:SWE out the door. The Augmented PDF will be developed somewhat in parallel, and should follow a few weeks. The other projects will follow shortly after, with attention shifting to the novel as the other products start wrapping up. Playtesting for NP:SWE will continue. All backers will continue to have access to the live playtest doc until June 27th, after which this playtest doc will no longer be available. Evolved and Transcendent backers will continue to receive occasional updates until release. In addition, Evolved and Transcendent backers will receive an alpha version sometime before Monday, June 16th. This alpha verison will be a cobbled together blend of setting material from the Fate version and the new rules. Layout and art will not be complete, or even close, but the alpha version will be around 90% content complete.